Interior Commercial Painting, Charlotte, NC | Pride Painting, Inc. If you’re ready to invest in your building, contact us for interior commercial painting services. Repainting is one of the most cost-effective improvement projects you can do in your commercial facility. You may not think much about the walls of your office or other commercial structure, but they do speak volumes about how well you maintain the facility. Over time, walls tend to get stained and dirty because they’re not cleaned as often as other parts of the building. Floors and countertops get cleaned regularly, while walls typically get ignored. Simply adding a fresh coat of paint to the interior walls can transform the space and make it feel like new again. However, most commercial building owners and managers simply don’t have the time to invest in an interior commercial painting job. This is where our team at Pride Painting, Inc. can help. We’ll come into your Charlotte, North Carolina office building or other facility and give you a quote for interior commercial painting services. From there, we’ll get to work to minimize disruption while refreshing the look and feel of the space. Since our team includes professional and experienced painters, you don’t have to worry about the end-result. You’ll be left with pristine walls that showcase their new paint colors beautifully, along with cleanly-painted corners and trim work. If you’re ready to invest in your building, contact us for interior commercial painting services. 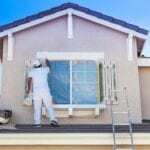 We’re dedicated to being the painter you can trust to do the job right and on time, every time. Our services also come with a three-year written guarantee, so you can feel confident about the results.